It is native to Central and South America. 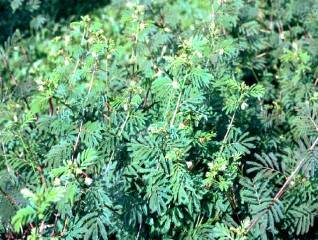 Plant can be grazed directly and is quite resistant to heavy frequent defoliation. It is a high protein fodder. 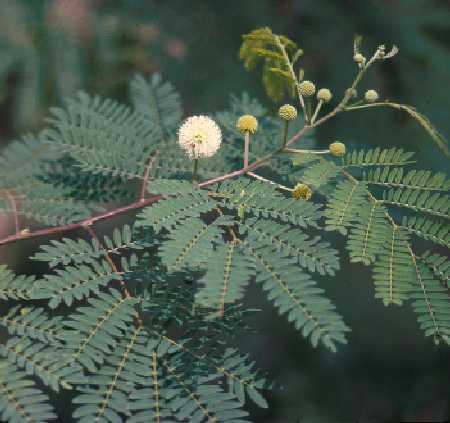 Due to the presence of mimosin, quantity fed should not exceed 1/4 of total dry matter fed. 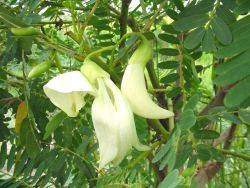 Commonly grown in Tamil Nadu, give yield upto 100 MT/ha/yr. Leaves are used for human consumption also. Maculata species is the one used for animal feeding. 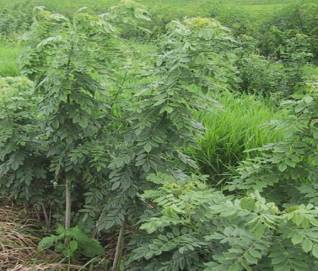 Can yield upto 150-250 kg/tree a year when the tree is 3 years old. 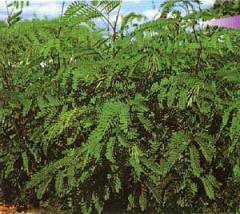 Soft leafed, it can be used as mixed crop with hybrid napier.